Money Q&A is a popular personal finance blog founded in September 2010 and dedicated to helping people learn how to invest, plan for retirement, spend money wisely, and make personal finance less confusing. The blog helps readers take back control of their financial life and invest by answering one financial question at a time in plain English. The typical Money Q&A readers are men and women between the ages of 25 and 50, college educated with a household income of approximately $75,000 or more. 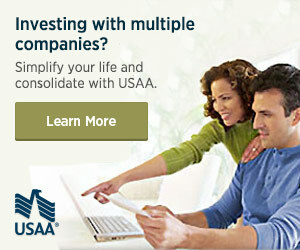 They are average middle-class investors or those looking to begin investing and don’t know where to start. They are actively searching for new ideas or better ways to save and invest for their retirement, children’s college education, vacations, and other major purchases. The blog is listed in the Technorati Top 100 Finance & Business Blogs as well as the WiseBread Top 100. The site has a strong following on social media with over 1,900 Facebook fans, over 21,000 Twitter followers, 5,500 followers on Pinterest, and 4,000 followers on Instagram. It has an RSS and email newsletter readership of over 1,500 and growing. If you are considering advertising opportunities on Money Q&A, there are several advertising opportunities on Money Q&A advertising on the site. Please email me Hank[at]MoneyQandA.com if you are interested in either purchasing ads on the site and would like to receive a rate quote. Money Q&A supports all standard banner advertising and media types. Advertising on Money Q&A is a great way for you to build traffic to your site or product from dedicated readers of the website who are looking for ways to improve their finances, learn about investing, and increase their understanding of their money and financial problems.